ItemMS-3100.5.17 - Quatseeno Indian village. (Conical skull tribe.) (North west coast.) Vancouver Island. An evening view showing how the natives spend their time sitting outside their lodges with nothing to do, and have done so from time immemorial. ItemC-09291 - Bonaparte River Indian women on horseback - British Columbia. 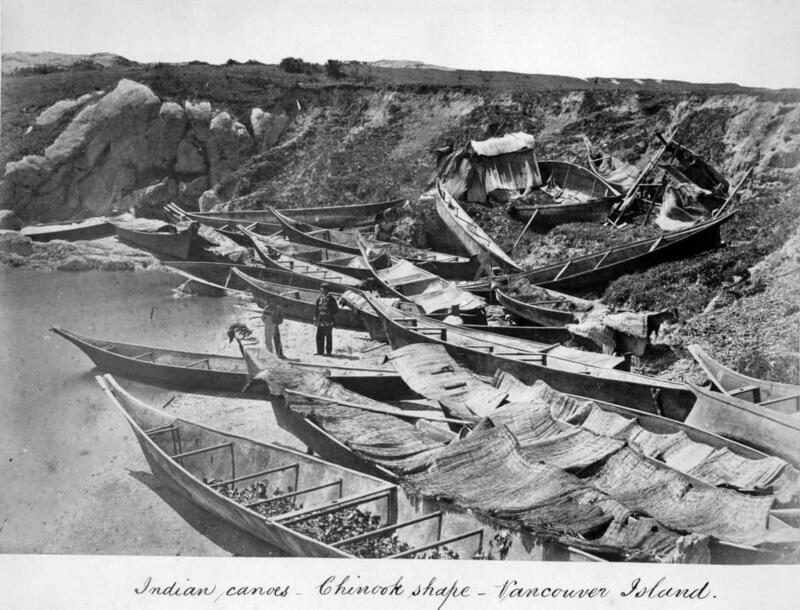 Item C-09273 - Indian canoes - Chinook shape - Vancouver Island. Belonging to the invited visitors to the great Potlach [potlatch]. MS-3100, Album 5, Page 4.